Our Wedding Personalized Picture Frames are great for a loving couple that will display a poem on one side and your most treasured photo of each other on the other side. 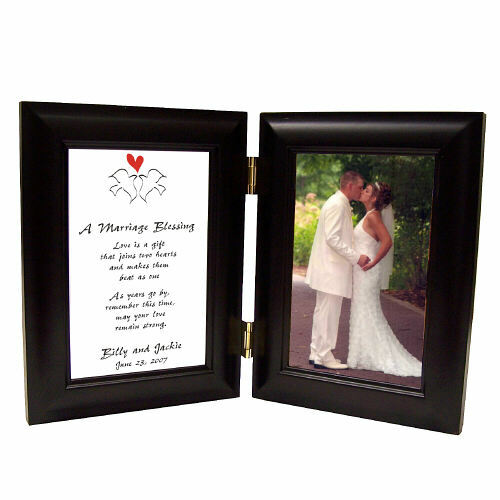 Our Marriage Blessing Wedding Black Bi-Fold Customized Picture Frames measure 11 3/4" x 7 3/4" and holds two 4" x 6" photos. Includes FREE Personalization! 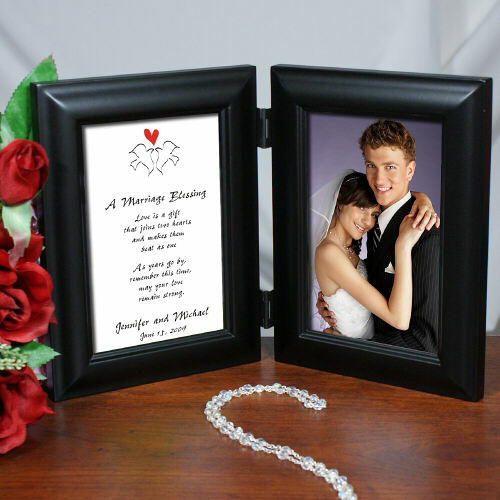 Personalize your Personalized Wedding Picture Frame with any couple's names and date. The frame is absolutely beautiful and made of great quality. Very nice gift for my son and new daughter-in-law. This was a last minute Wedding Gift for my Daughter. Iloved it. And told multple people about your site. Thanks again.